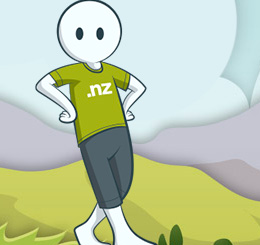 As of 30th September 2014 the NZ Domain Name Commission announced the availability to register domain names using the .nz with or without the second level. Up until recently only .co.nz, .net.nz, .org.nz .kiwi.nz etc were available. Now you don’t need to have the second level. The two main benefits of securing your top level .nz in my opinion are the fact that it will be shorter and for branding purposes (prevent someone else from using your name). If you already have a second level .nz domain name e.g. yourdomain.co.nz you maybe eligible for ‘preferential registration’ before it becomes available on the public register for anyone to register. You have until the 30th March 2015 to decide. If you have e.g. yourdomain.co.nz and someone else has yourdomain.org.nz then the registration of yourdomain.nz will go into a conflict process, where the parties will decided who will own it. In this case if no agreement can be entered into then yourdomain.nz will become unavailable for anyone to register. To find out more information or to see if you’re eligible for preferential registration go to http://anyname.nz. If you would like to register your .nz contact us here, we can assist.